AAS Award winner! Oblong "icebox" 6-7 lb. 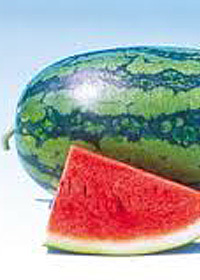 melons with scrumptious, crisp, sweet, red flesh.